Four Malians and a Togolese working for a Chinese telecoms firm were kidnapped and murdered while laying fibre-optic cables in central Mali, multiple sources told AFP on Sunday. The group was working a few dozen kilometres (miles) from the town of Niafunke on Friday when they were dragged away by unidentified armed men, a local official based there said. “The next day they were found dead, their bodies abandoned on the roadside,” the official told AFP on condition of anonymity — information confirmed by a Malian security source. Three Chinese firms currently work on telecoms projects in the region. Firms have spent two years trying to install fibre-optic cables in central and southern Mali to bring faster internet to the region, but delays have been caused by “insecurity and the rocky nature of the terrain in certain areas”, the prime minister’s office said earlier this month. Security in Mali’s central belt has deteriorated rapidly in the last few years as a jihadist insurgency and inter-communal clashes have spread downwards from conflicts once confined to the troubled north. The murders occurred during the final day of Mali’s International Investment Forum, held the capital, Bamako, highlighting the challenges faced by foreign firms operating in the west African nation or hoping to enter its market. President Ibrahim Boubacar Keita called on companies to make an “act of faith” on Thursday when the forum opened, asking delegates to bring foreign expertise and investment to sectors including agriculture and infrastructure despite his nation’s entrenched problems. 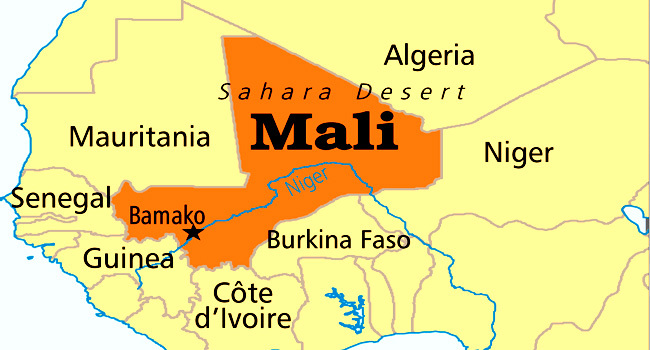 Mali has struggled to attract foreign investment despite plentiful deposits of gold, among other resources, due to five years of instability and frequent kidnappings of foreign workers including humanitarians. “You take risks to come to us, that is worth (our) respect,” Keita added. Groups of Islamic extremists linked to Al-Qaeda took control of northern cities in Mali in March and April 2012, but were chased out by a French-led military operation launched in January 2013, which is still under way. Mali’s army, French soldiers and a UN mission (MINUSMA) have little control of large tracts of the country, which regularly come under attack in spite of a peace accord signed with Tuareg leaders in May and June 2015, aimed at isolating the jihadists.